After studying abroad in the Dominican Republic, I was left with a desire to learn more about Latin America and what it’s like to be an American abroad. 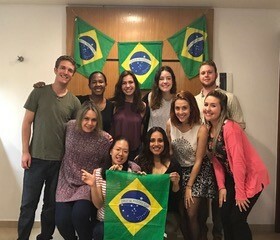 I decided to use my Boettcher Educational Enrichment Grant to work in Brazil over the summer because Brazil is a global player, but not one that is immediately thought of in the U.S. While living in São Paulo, I worked at Sidera Consult, an international trade consulting firm. There, I learned more about how international trade, and how the U.S. and other countries interact on a global scale. 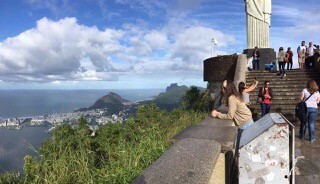 Brazil is one of the most geographically diverse countries in the world, so I also had the opportunity to see the Amazon, as well as mountainous beaches and secluded islands. My grant allowed me to grow, not only as a person, but also as a global citizen.